All content and photography are © 2009-2017 Slimming Eats. All rights reserved. Please do not reproduce any text or photographs without my prior written consent. You may share one photo as long as you prominently link back to the original post. If it is feasible, please include a link to my homepage, http://www.slimmingeats.com, as well. However, please do not repost or republish any of my recipes/content. I do not allow other websites or publications to publish my recipes. I want Slimming Eats to remain the exclusive source for my recipes. If a recipe is copied and republished elsewhere, it will negatively affect Slimming Eats. My recipes are copyrighted material and may not be published elsewhere. I put a lot of hard work into the content on Slimming Eats and so taking my content like that just isn’t cool. For inquiries regarding the use, reproduction or purchase of photography seen here, please email Slimming Eats using the contact form here. Posts on Slimming Eats can be shared using the sharing buttons provided on this blog only, please do not screenshot or copy and paste any content, that way anyone viewing the share is always redirected back to Slimming Eats and the content is never taken in full. Slimming Eats brings healthy delicious recipes from me to you. All content on Slimming Eats is written by me. In the event that content in part or entirety is not my own, or is an adaption of another recipe – it will be disclosed in the post, linking to the original source. This site earns income from one or more of the following. Without these, this blog wouldn’t be able to run. 1. Affiliate Programs – We are a participant in the Amazon Services LLC Associates Program, an affiliate advertising program designed to provide a means for us to earn fees by linking to Amazon.com and affiliated sites. I may at times use other affiliate links. 2. Advertising Networks – I am currently a member of Mediavine who places ads into specific areas of Slimming Eats. 3. Products – I frequently receive products to promote and review. I also post reviews of products I have purchased myself. 4. Sponsored Posts – I may occasionally work with a brand for a sponsored post. You will be able to identify these posts by a note on the post telling you that it is a Sponsored Post. If I give a positive review, it’s because I feel the product deserves recognition. I only like to recommend products I have used and liked myself. NOTE: Slimming Eats is in no way connected, affiliated or endorsed by Slimming World. Slimming World is a trademark of Miles-Bramwell Executive Services Limited (UK). 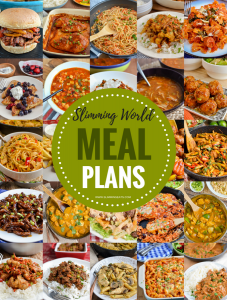 We recommend that you consult with a Slimming World Consultant to verify accuracy at a Slimming World meeting or through an online Slimming World subscription. Any recipes, syn values or otherwise detailed on Slimming Eats are purely for informational purposes, values may change so we can not guarantee their accuracy. Please be advised that Syn values provided on this group on recipes etc may not always be accurate and, ideally, should be checked with Slimming World using official resources such as the Syns calculator, Syns Online on LifelineOnline or by calling the Syns Hotline on 09068 518518. NOTE: Slimming Eats is in no way connected, affiliated or endorsed by Weight Watchers. Weight Watchers is a registered trademark of Weight Watchers International, Inc. Points are trademarks of Weight Watchers International, Inc. We recommend that you consult with a Weight Watchers Consultant to verify accuracy through a meeting or through an online Weight Watchers subscription. All information, recipes or advice given within Slimming Eats is for informational and general knowledge purposes. It should not be considered medical advice or dietary recommendations. Consult with a medical professional before embarking on any dietary or nutritional change in your lifestyle. Any advice shared on this group should not be replaced by the advice given by your Slimming World consultant. It is the responsibility of the Reader to assure the products or ingredients they use in any recipes from Slimming Eats are allergen-free (gluten-free, egg-free and/or dairy-free, for example) or Vegetarian-friendly. Slimming Eats assumes no liability for inaccuracies or misstatement about products, opinions or comments on this site. Slimming Eats believes very strongly in keeping your personal information confidential. The following policy describes what information we collect and how it is used and shared. Slimming Eats collects as little information as possible from users looking to post comments and messages on posts. We will typically collect a name (either real or alias), personal website, and e-mail address. None of your information will be shared with third parties. Slimming Eats may use your e-mail address in the future to contact you regarding the site, however, an opt-out will always be provided. Your name and website may be displayed on the site if you post a comment. However, your e-mail address and privacy will always be kept secure. If you have provided Slimming Eats with your email address and confirmed your acceptance aka Double Opt-in, you may receive a copy of our newsletter and other recipe updates. However, at the bottom of every email will be an easy way to opt-out. Your email address will be used solely for the purpose of sending these emails and will not be shared with any other entity. If at any time you wish to check what personal data Slimming Eats has stored and/or ask for it to be removed, please use our Contact form to get in touch and we will gladly do this for you.